Now that the weather is warming up, you might be spotting a few (or few hundred) fire ants in your lawn. Fire ants can pop up in Austin and wreak havoc on your lawn. 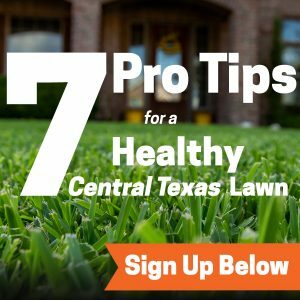 Lucky for you, you can always get a hold of an experienced, friendly and professional Austin lawn care service to get rid of them before they ruin your planned outdoor activities near your home. As you may have read on the Emerald Lawns Info page, red fire ants are not native to Texas! They are imported. “But an ant can’t be that bad” you say. Wrong! There are numerous reasons that you should contact a professional Austin lawn service to remove the fire ants from your beautiful yard. The reason a bite from a fire ants is so painful is because when they do bite you, they are sending poison into your body. Ouch! You don’t want your loved-ones playing out in the front lawn with poisonous bugs scurrying about. According to this ehow article, the poison they send into your body contains “piperidine, a substance that causes redness, swelling, pain and other symptoms.” Sounds awful! Anyone that’s been bitten by a fire ant knows that the pain is obnoxious to say the least. Now you know why. Do your best to avoid getting bitten by fire ants by looking out for fire ant mounds in your lawn and wearing boots and gloves. You can spot the fire ants’ mounds by looking out for sandy-colored dome shaped structures that usually are only a few inches tall but can occasionally reach much higher. The structures can also be flat so always be keeping an eye to the ground for mounds that may be housing these dangerous insects. Fire ants can bite your pets. That includes your innocent outdoor cat! Though one or two won’t likely end up severely damaging your cat, a swarm of them can really do serious harm. Animal lovers should take note. Fire ants you spot need to be reporting to a lawn care company as soon as possible. Check out this interesting site that goes much more fire ant detail. In it, they give advice on how to protect yourself from fire ants and the strange fact that fire ants are drawn to electrical circuit boxes and electrical motors. Read up on it if you’re interested in further information but, more importantly, stay safe and protect your loved ones by getting those fire ants taken care of. To remove fire ants from your lawn, contact Austin lawn care specialists at Emerald Lawns at (512) 990-2199, or contact us online for information.